Very nice place. Close to everything you'll need. 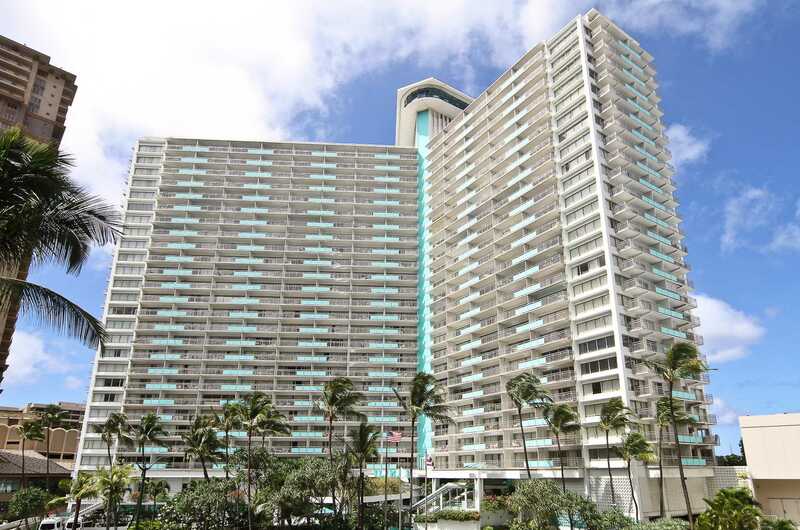 Very nice location, great amenities and close to the beach!" We stayed in Condo 1114 and had a great time. The condo was clean, nicely decorated, and contributed the essentials, like paper towels, toilet paper, and salt and pepper. 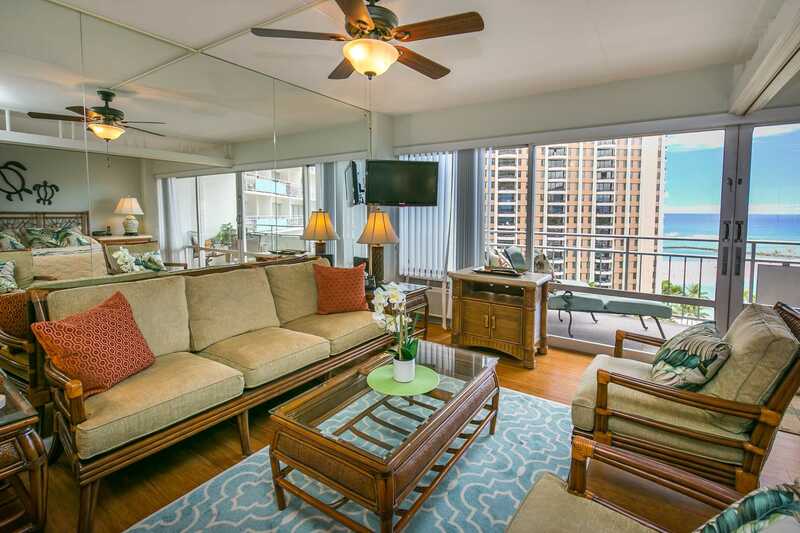 The Ilikai itself is a very well-situated property with easy access to all of Honolulu. The pools were nice and the staff friendly. My husband and I would definitely stay in #1114 again. Check-in instructions were clear. 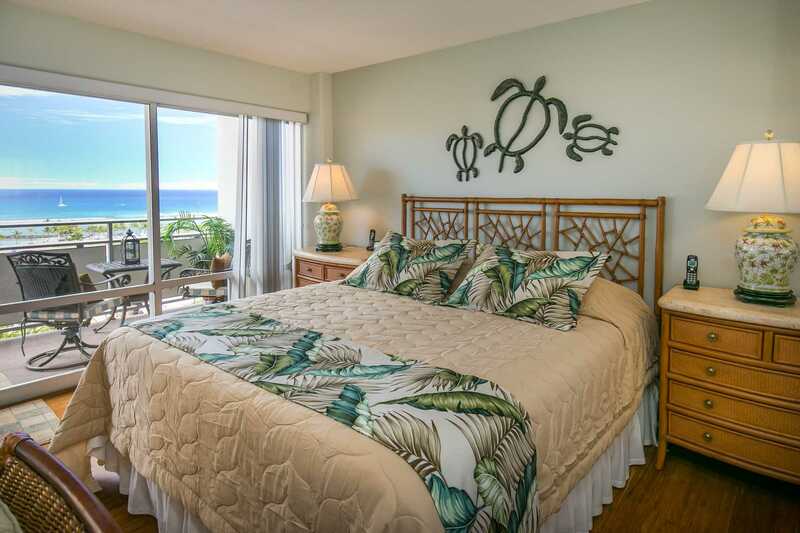 The room is located in the Ilikai Hotel. The suite was clean, bright and well lit. The view was beautiful. I was surprised at how much of the ocean we could see. They had beach towels, but no beach chairs or umbrella. There was a cooler bag available. When we had issues with turning the shower head on, the manager quickly responded and sent help. There was a coin laundry room on the same floor, if needed. The kitchen was fully equipped. The bed was on the softer side, but still comfortable. We did not use the sofa bed, so cannot speak to the comfort of it. 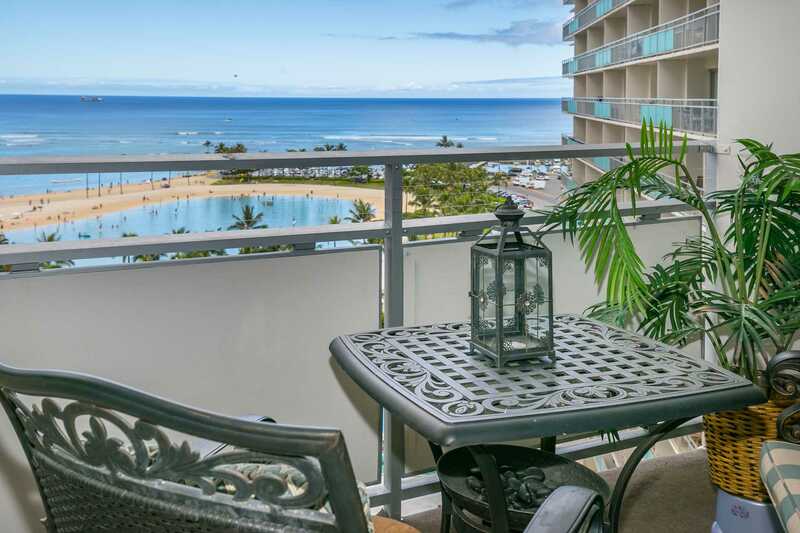 Con/Pro: the location: about 15-20mins walk to the main Waikiki shopping area (International Village) - though not a far walk one way, if you're going back and forth a few times during the day, it can get a bit tiring. 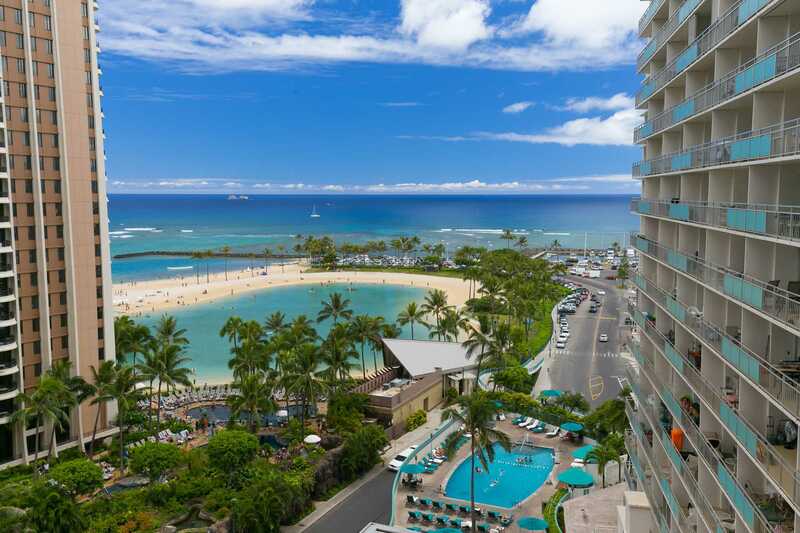 However, this also means that you're in a quieter part of the strip, you're a 7min walk from Ala Moana, and there are a lot of busses that pass by the front of Ilikai that will take you anywhere you need to go. Tip: you can hold your luggage the bellman for $1/luggage. The hotel and cleaning staff are friendly. Aloha, the beach chairs are on the lanai. This place is great! The fireworks show was a little hard to see (I would suggest going to the kid beach to watch). 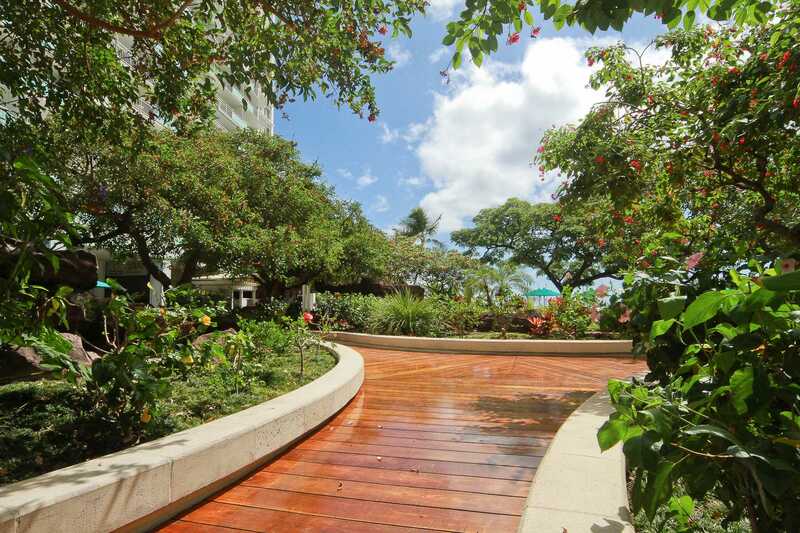 Spectacular views, close to shops, and huge sliding glass doors! We enjoyed our stay very much. The room is just as you see it in the pics. Everything is provided, even the coffee filters. I brought my own coffee, but forgot filters, so seeing them there was a plus. 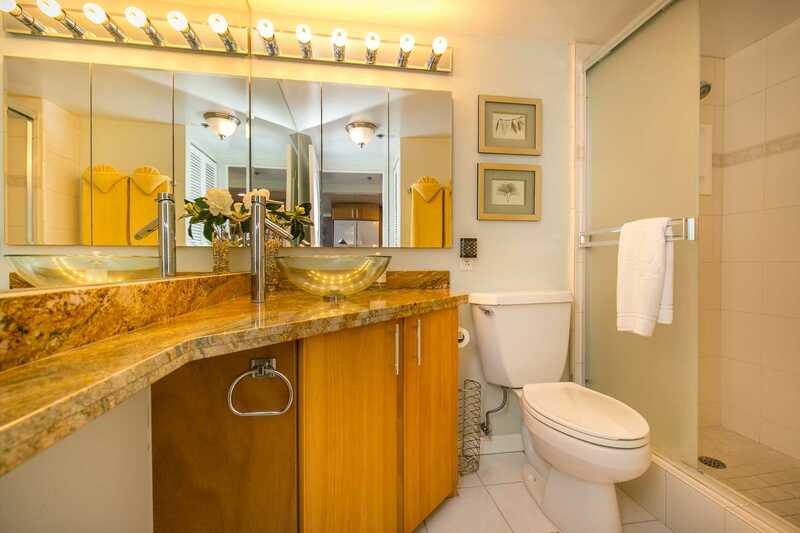 Clean condo. Comfy bed. Amazing View. We walked to the grocery store and bought eggs, butter, bread,etc, so we could eat breakfast there every morning. The bus stop was out the lobby door and to the left. It only took a few days to get the hang of which bus to catch. Any bus that said Beach and Hotels, you could catch to bring you back. But certain buses took you to specific places, Google them, and click on the BUS Icon, and it will tell you which bus to take. 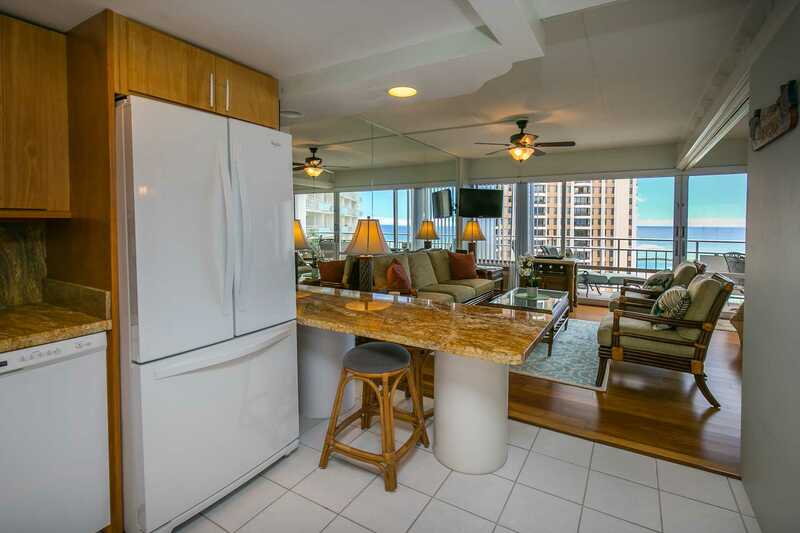 I would definitely go back to this condo. Thanks. 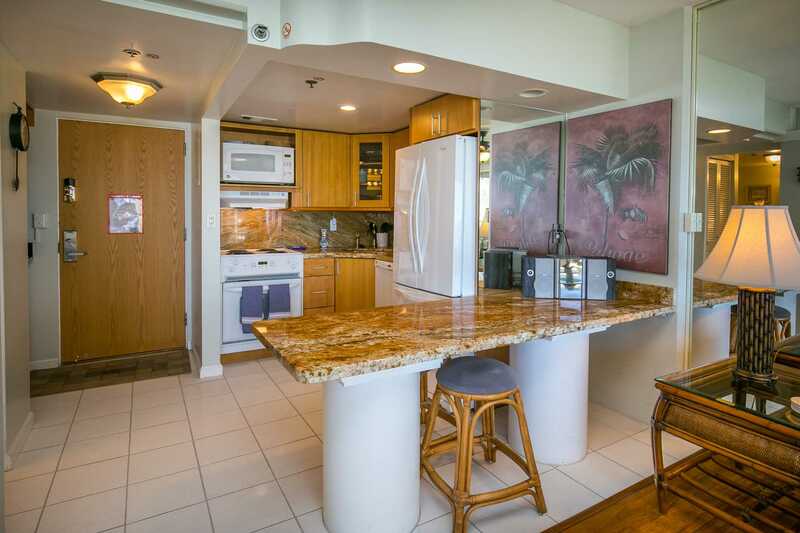 Enjoyed our second stay at the Ilikai, we appreciated how well the kitchen was appointed with utensils, dishes, and cookware. Bed was good, deck furniture was a little dated. The one glaring problem would be the A/C unit, time for a new one. We honeymooned here and couldn't have been more happy! condo had everything we needed, and was so much nicer than a hotel room. The view of the lagoon and ocean was just as the picture advertised! 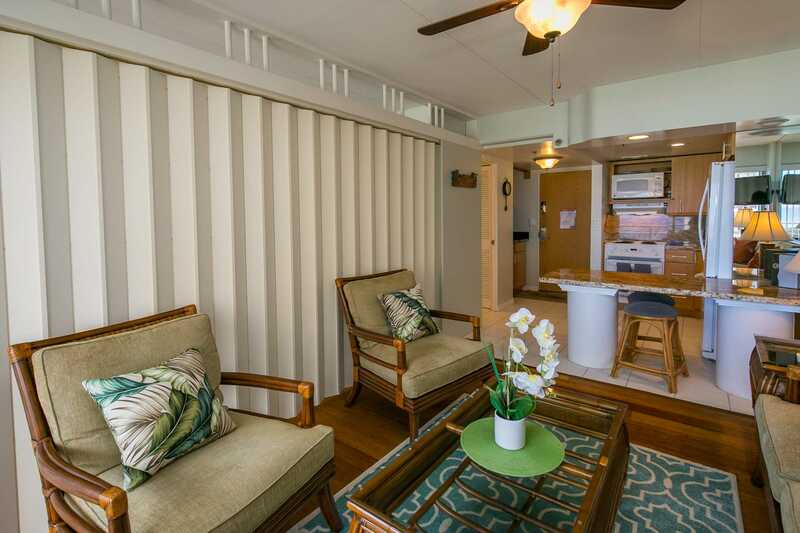 I've stayed at the Ilikai numerous times and this exact unit one other time and have been very pleased. 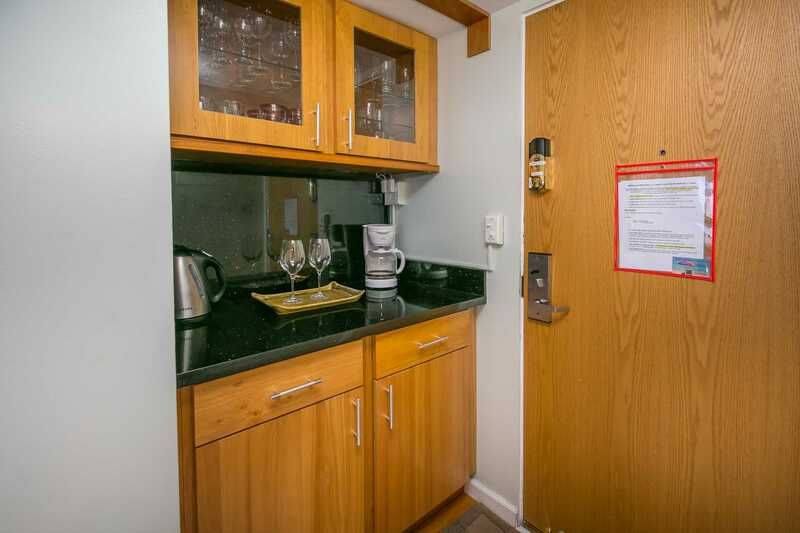 The kitchen is modern and has a dishwasher which some other units don't. The king bed is comfortable and there's also a convertible sofa. 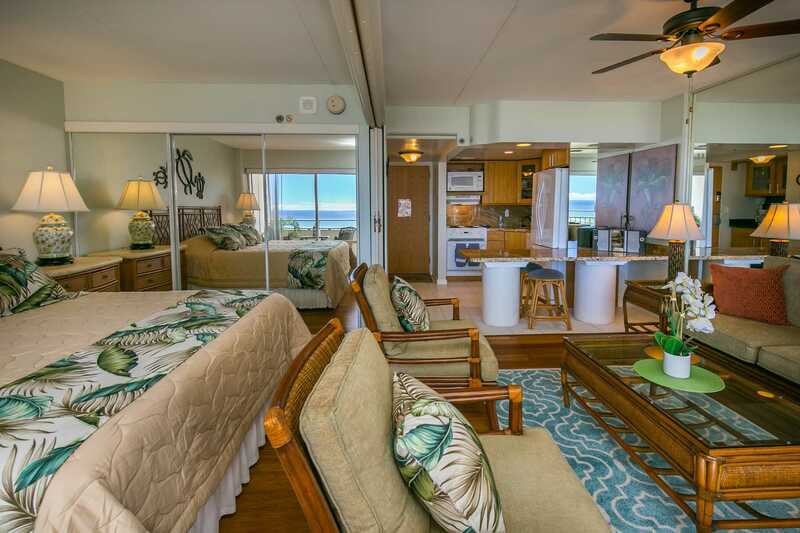 And my favorite part is the spacious lanai with dining table and chairs and gorgeous view! Perhaps the only negative is that the shower is quite noisy. 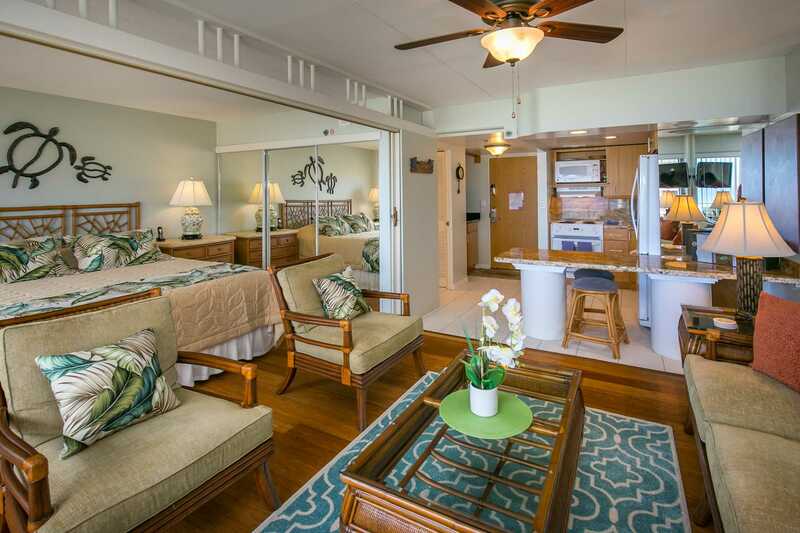 1114 at the Ilikai was as advertised and the reservation process couldn't have been easier. 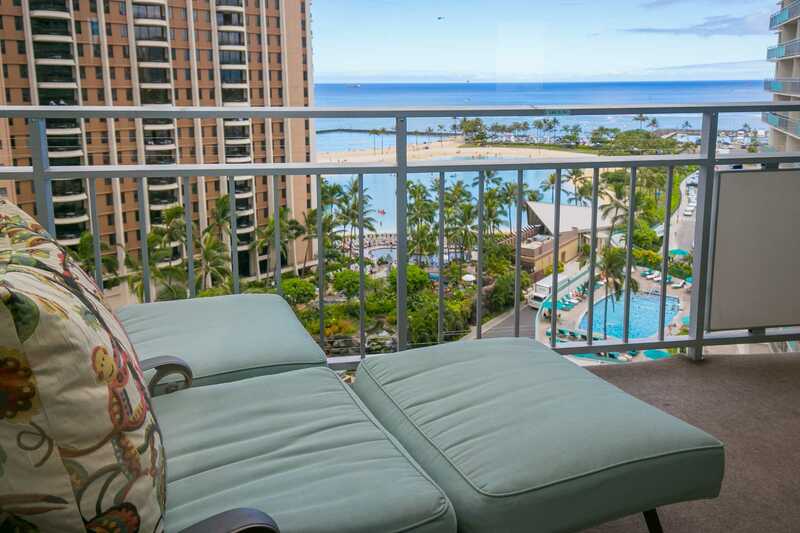 We spent a lot of time on the lanai and thoroughly enjoyed the views. Very nicely decorated. Didn't use the kitchen with the exception of the refrigerator and microwave, but very nice to have. Loved the location and the access to the beach. Would stay again and use Hawaiian Vacation Properties again. Made for a worry free vacation! First time at the Ilikai and 6th time to Oahu. Condo pictures were right on. View from lanai was excellent. Spent a lot of time watching the ocean and the activity around the hotel from there in the mornings. Nice shade. 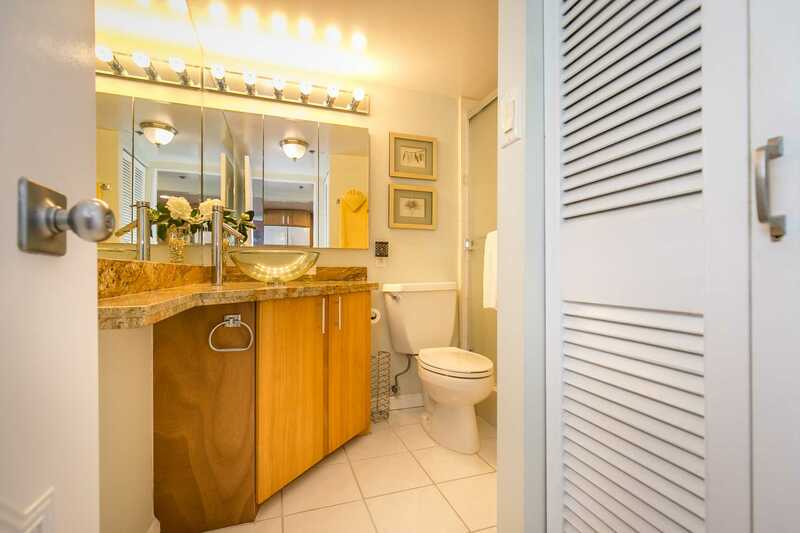 Very close proximity to the beach. 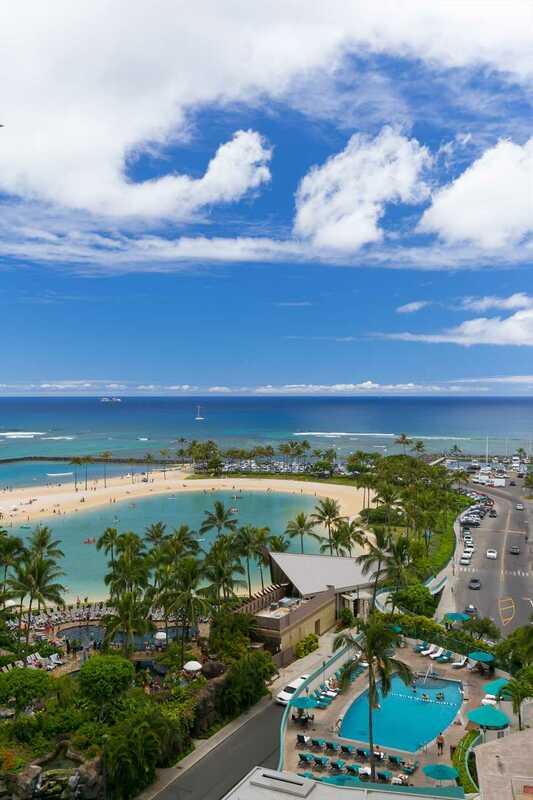 Very easy reservation process with Hawaii Vacation Properties and we loved the self-check in. Planning another return and will try to stay in this condo again! Second time staying in this condo. 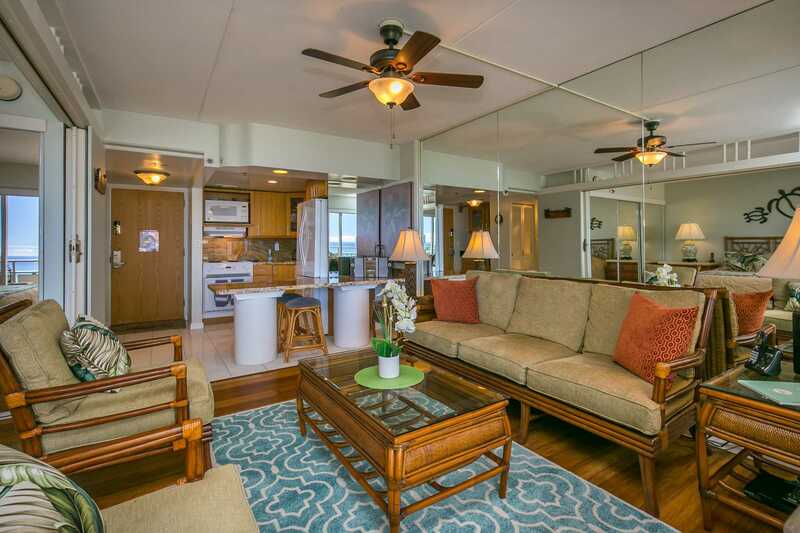 Everything we wanted.....clean, great view, loungers on the lanai, nicely furnished, nice kitchen.Will be back. Great place - as advertised. 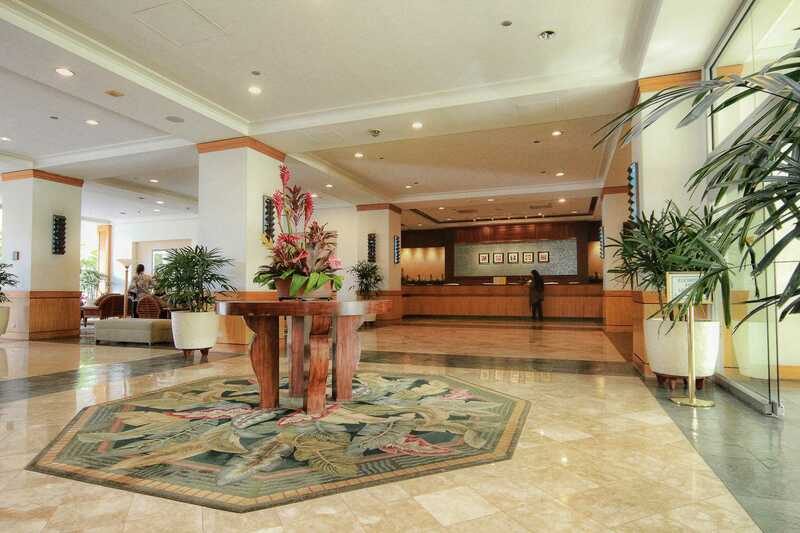 It is well situated, scenic, clean, and check in was seamless. Great view of the fireworks. Wow! 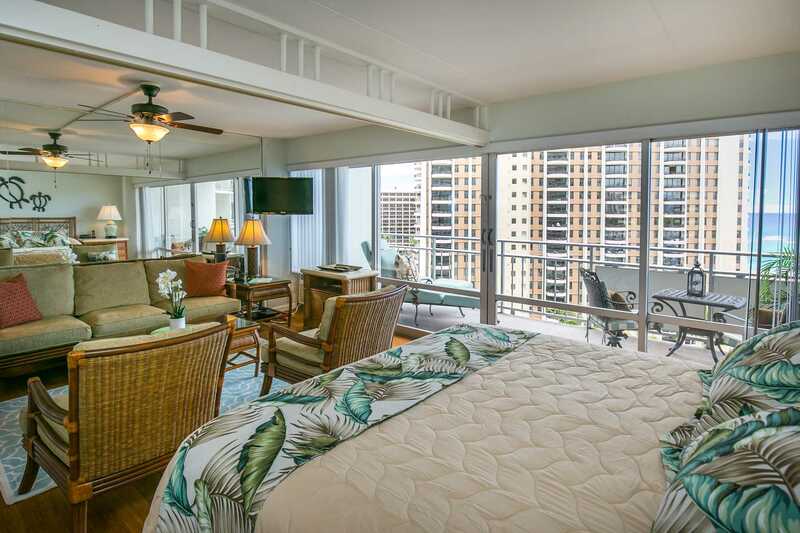 One of the best condos to stay in. Everything we needed was provided to us! My only suggestion for future occupants is to provide 1 or 2 laundry soap packets. It got tiring running all the way downstairs for quarters. The beds were comfortable! Staff was always asking if we needed assistance. View was phenomenal overlooking the ocean. We actually slept with the doors wide open!! We stayed April 19-27 The room was very homey, the view was amazing. Our stay was truly like a home away from home. We saw whales from the lani, as well as the fireworks on Friday. We will definitely use this company for any future trips. Loved the decor choices and good use of space. 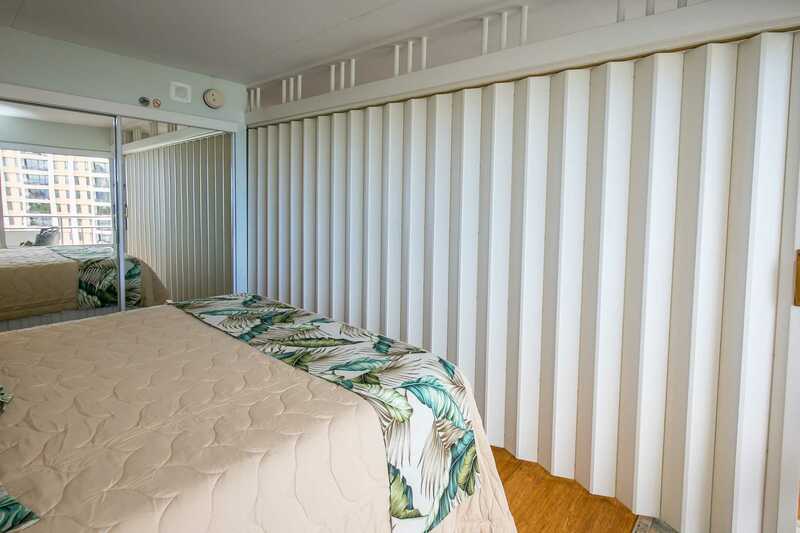 VERY comfortable bed & king bed option for rental properties is rare! Having good reading lamps on the bed's nightstands was appreciated. Lots of drawer space in the nightstands, bathroom and closet! We're annual visitors to Oahu(twice a yr.) for the past 15 years and this is the best location we've experienced. The views were spectacular...spoiled us, like a postcard! Not lacking in a thing we desired. Kitchen was large and easy to use. Keyless entry is a lifesaver...super efficient. 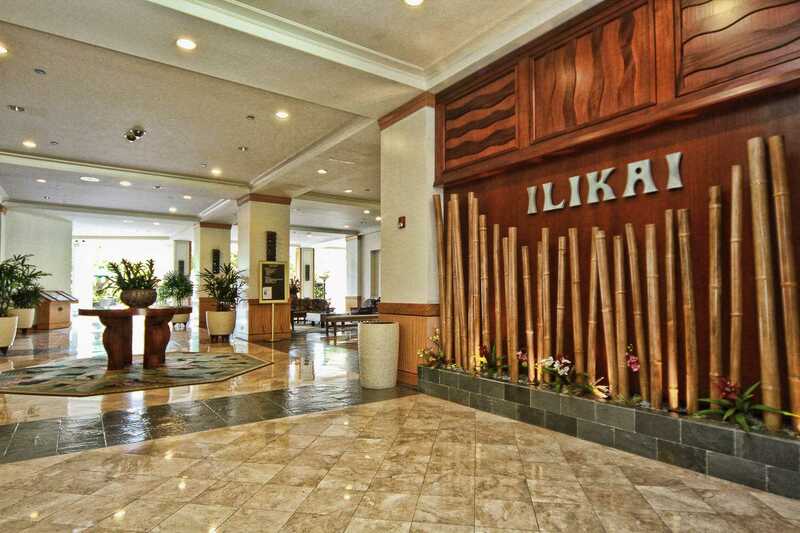 The Ilikai Hotel is historic, so we loved learning about it's "story". The entire process from the initial inquiry to the departure was easy. Would definitely stay again and again. 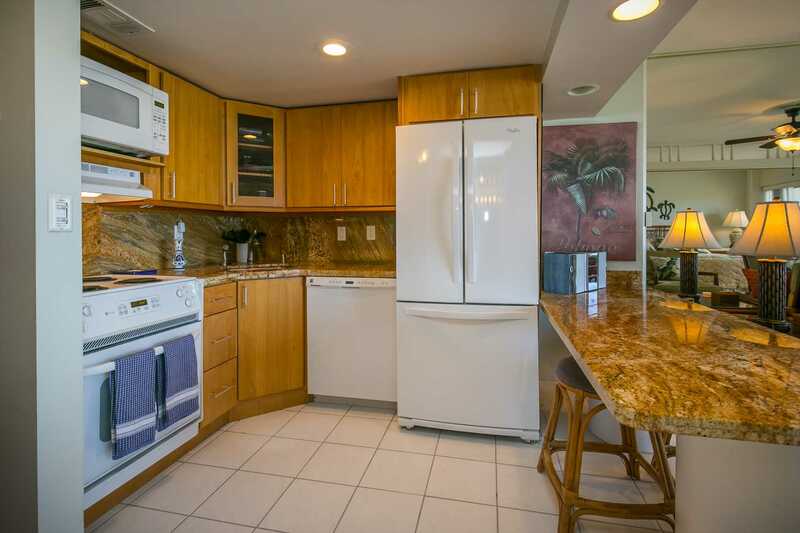 We stayed a week, the apartment had everything you needed to cook, unit just as pictured, Had Beach Chairs and mats. Great views of the Lagoon and the Ocean. Bus stop very close to the hotel. Would definitely stay again. 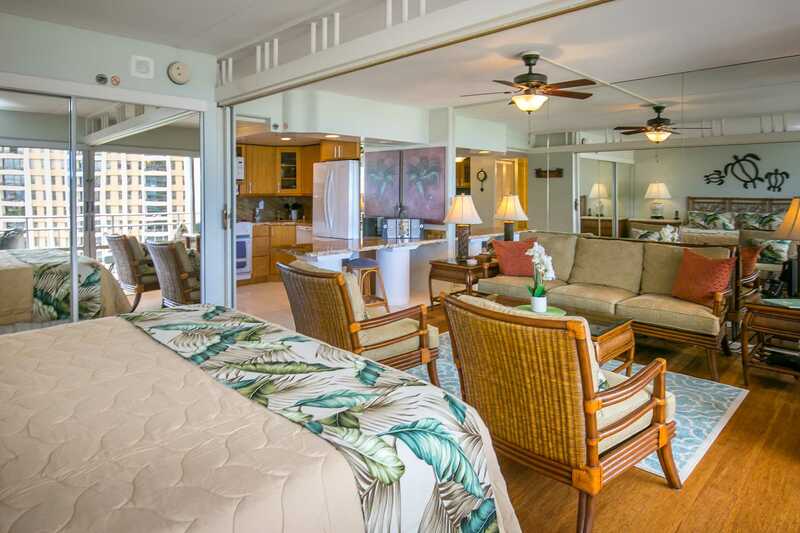 We had a wonderful stay at the Ilikai. Unit was very nice and bed was comfortable. Nice view of lagoon, harbor and sunsets from the lanai. Kitchen well equipped. Nice location. All hotel staff was very friendly and helpful. HVP handled everything seamlessly. Would recommend hotel, unit and HVP to future travelers. Only recommendation would be to provide beach chairs that recline, and a heavier umbrella. Umbrella provided lightweight and did not hold up in the winds on the beach. 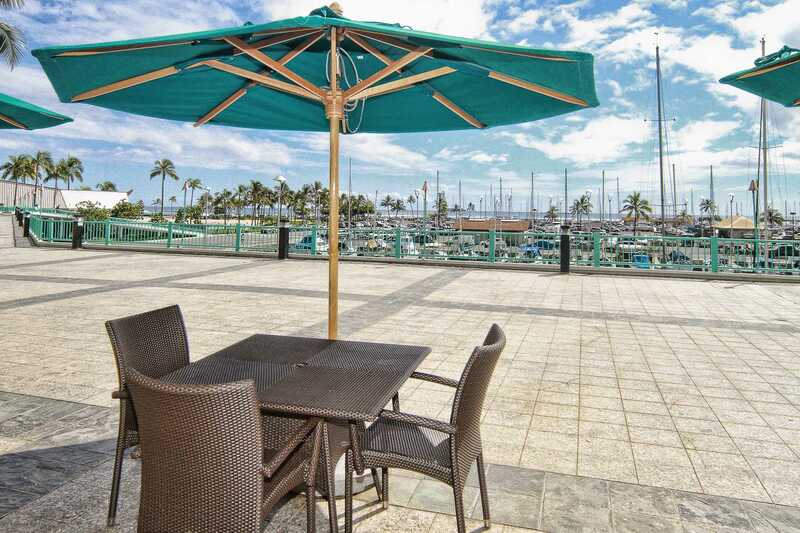 We don't provide beach umbrellas because the Trade Winds are commonly too breezy for an umbrella. We do leave them in the condo if a Guest leaves 1 & it is still in working order. The folding beach chairs are much lighter to carry back & forth than the recliners. Unit just as pictured. Very comfortable bed. Full view of fireworks on Friday night if that's your thing. Wonderful grocery store called Food Pantry up Hobron Street. Very reasonable. We enjoyed our stay. 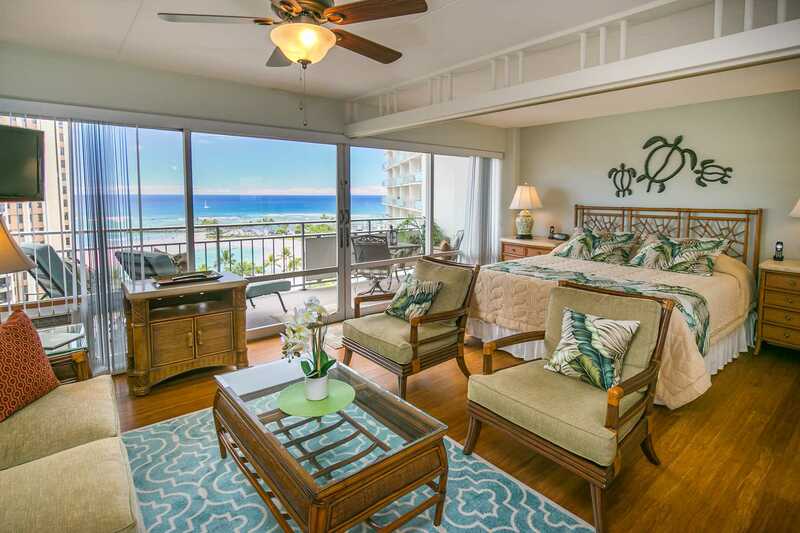 My husband and I have been to Hawaii before, but wanted a home base to come back to in a central location with all the conveniences. And this was the place! The price was great considering the amenities. You can choose to not rent a car if you prefer not to drive, but if you really want to see the island I would advise it. There are buses, taxis and trolleys that will take you anywhere you want. But the amount of time to get there is double the normal drive time. There are parking options if you prefer valet, but a cheaper option was right across the street on the Marina side (behind Red Lobster). We did not use the concierge service but instead got a map and struck up conversations with the waitstaff at restaurants. Very friendly people and proud of their island. They want you to love it as much as they do. So they will give you tips on places to see that won't break your bank. At the end of the day when we were exhausted we could depend on coming back to a lovely condo, with a knock out view and all the comforts of home. We only had to buy the groceries. Everything else you want or need was provided. My only suggestion would be to improve the AC unit in this condo. I gets warm and humid in Waikiki and this unit struggled to keep up. Otherwise I love the place and will definitely book again for our next trip. The ACs are professionally serviced every 6 months. 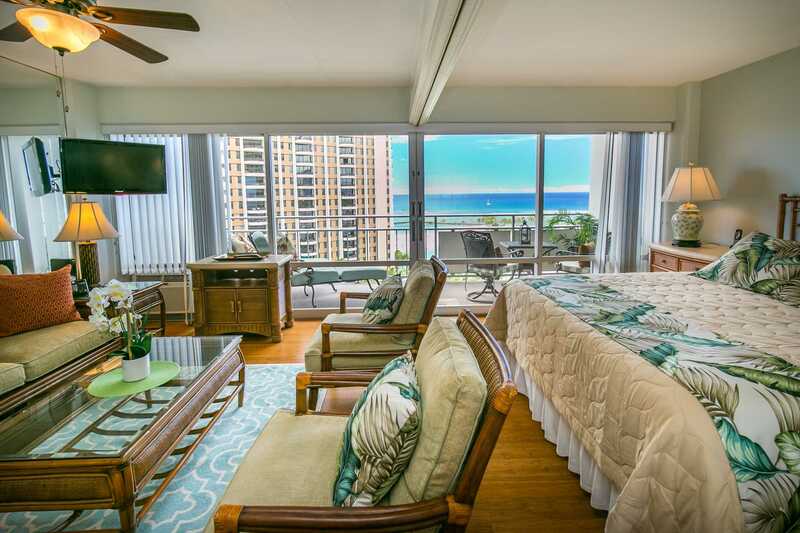 This Guest's stay was during a time when Hawaii had a Tropical Storm Watch. It does get hot & humid with the storms nearby. 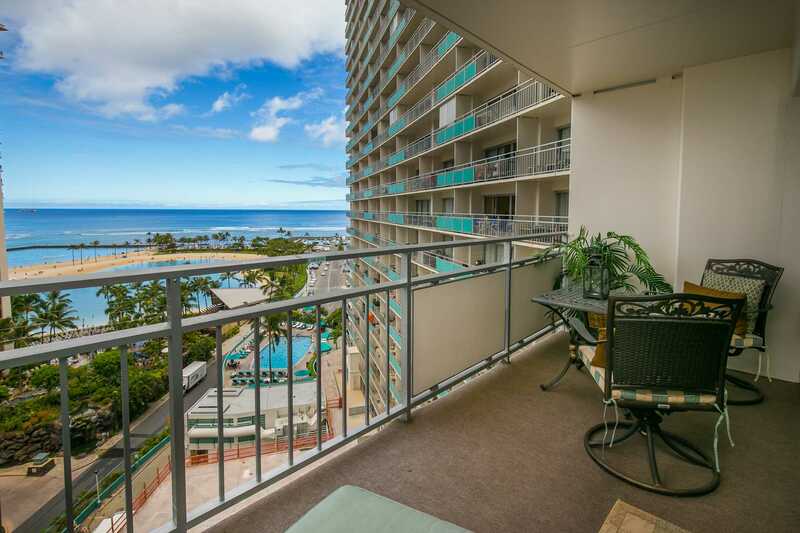 We absolutely loved our stay in this unit and at the Ilikai as a whole. 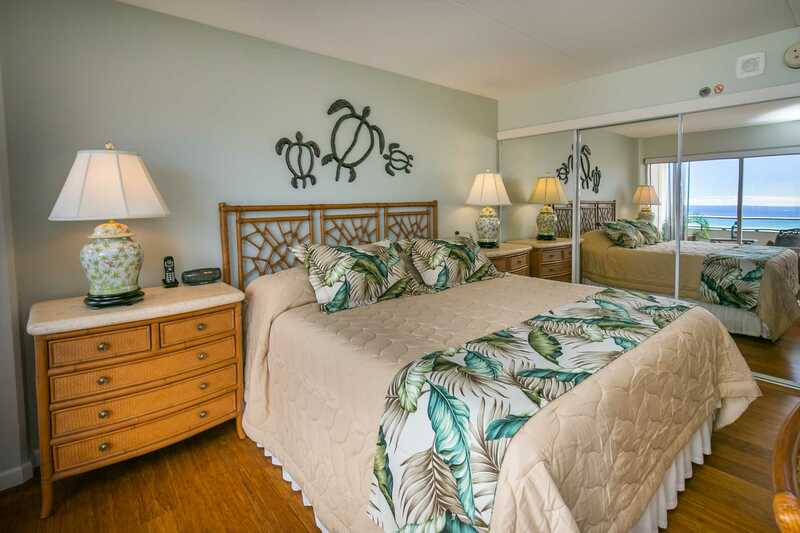 The room and accommodations were exactly as pictured and described. It can be difficult making such an important decision, sight unseen. Check in/out, and communications before and during our stay were smooth as could be. SO much to do, we walked all over, and either took a rental car, uber, or group vehicle to farther destinations such as Diamond Head, the stadium (recommended for souvenirs) and the North Shore. It's pretty easy to go anywhere on the island and back, in one day. The room had everything we needed....lovely accommodations, comfortable bed and furniture, great balcony where we ate breakfast, or just lounged to gaze at the view. Functional kitchen, which we used, and everything you need. Even nice dishware. Fireworks and luau next were visible from the balcony, as well. I could go on and on....highly recommended....we can't wait to go back! 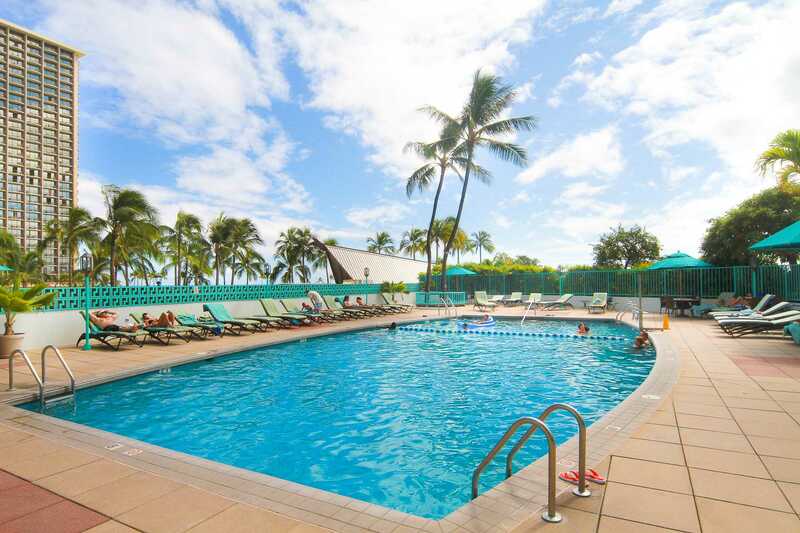 We really enjoyed our stay at the Ilikai. 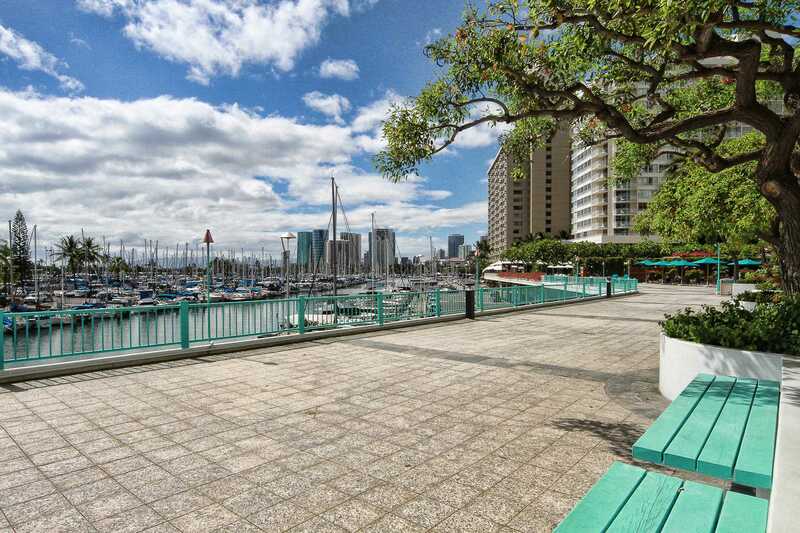 Our studio faced the lagoon and marina and we woke up to picture perfect views every morning. The studio is modern contemporary and very well stocked with all that you need - great dinnerware, kitchenware etc. This was by far a better option than staying in a hotel room, as the lounge area allowed you far more comfort than just the bed to sit on. There is no washing machine/dryer in the studio, but there are shared coin-operated facilities on each floor. 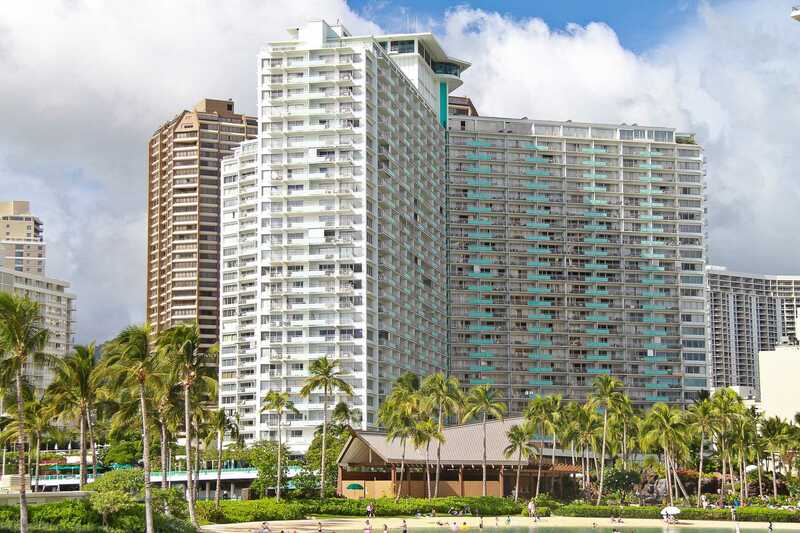 This is not a great time to travel to Hawaii for Australians as the AUD is very weak - be prepared to add a few thousand dollars to cover the conversion rate - however, the accommodation prices of Hawaii Vacation Properties allowed us to stay in great accommodation in the best location in Waikiki, which made our time in Hawaii a time to remember! Fantastic view, great position. well decorated... an awesome condo and hope to return to it next year. 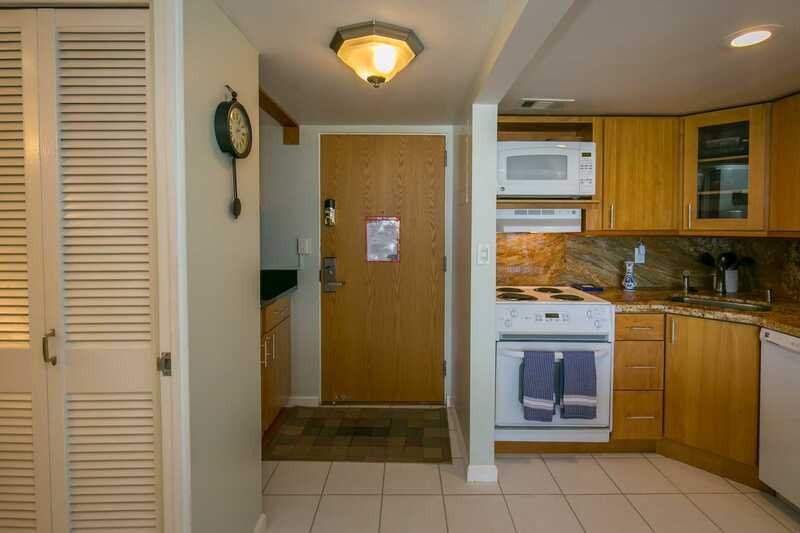 But I would like to tell your our stay in this fabulous Condo was nothing but perfect. Highest Rating from my wife and I. 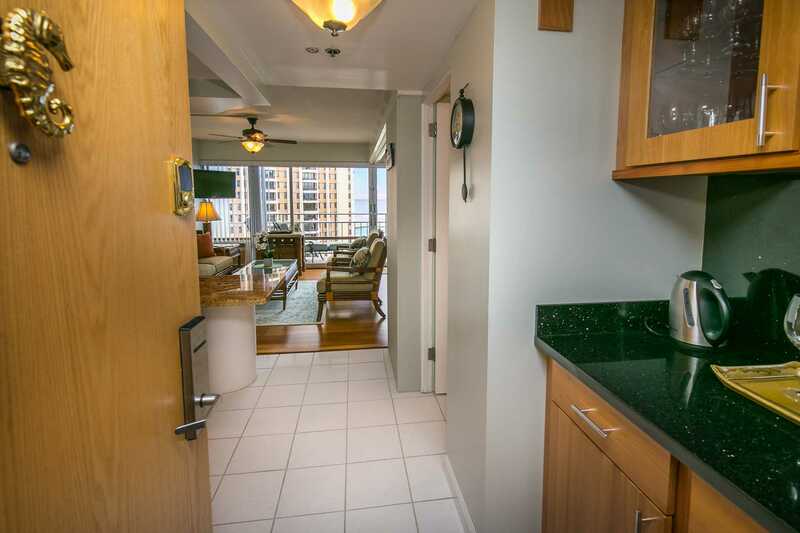 We plan on stay in this unit again and will plan our trip around open rental dates for this unit. Thanks so much for making our stay a wonderful experience. 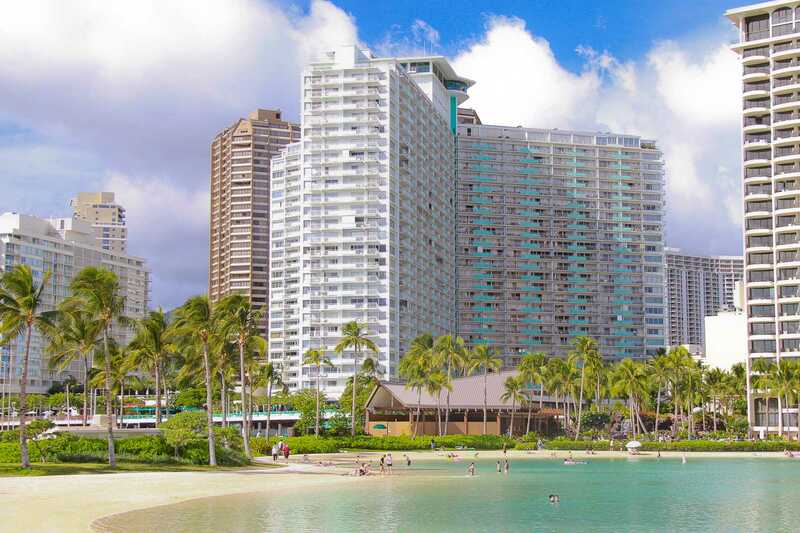 The Ilikai is a great location handy to the shopping centre and far away from all the crowds with the Ocean lagoon wonderful for swimming. 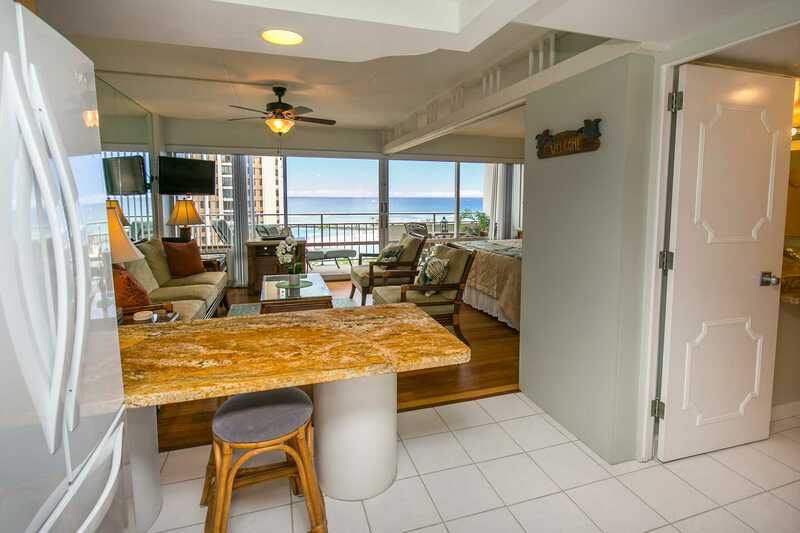 Our condo unit 1114 was lovely with a great view and everything we needed. We would definitely return here and would not hesitate to recommend this to friends. thanks Kat for making this a great stay.